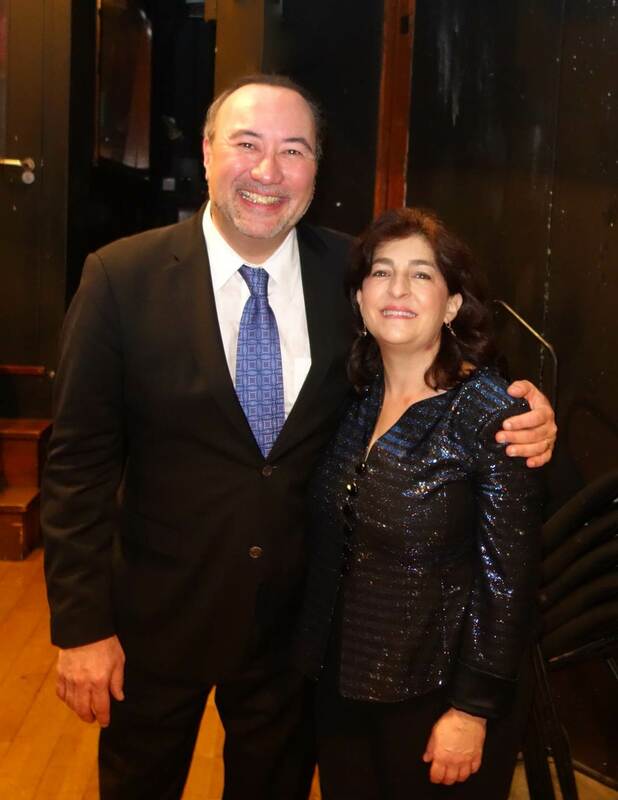 A beautiful evening in Europe for the August 15th and 16th “European Interlude” concerts began in Spain, in Turina’s rarely heard Scène Andalouse, played by Aloysia Friedmann and Jon Kimura Parker. Then it was on to France as Chee-Yun and Ian Parker performed Saint-Saëns’ Violin Sonata. Philip Cutlip took the audience into Schubert’s home in Vienna for a set of Lieder, then it was a very grand finale indeed in Germany for Schumann’s rousing Piano Quintet! It was all in the family sharing one piano bench for the “Orcas~trations: The Three Parkers” concerts August 19 and 20. And before the concert ended, brothers Jackie and Jamie Parker, and cousin Ian Parker, needed another bench! In the first half of the program, strings, clarinet and voice mixed and matched with one Parker at a time. Violinists Andrés Cárdenes, Chee-Yun and Annalee Patipatanakoon; violists Aloysia Friedmann and Yizhak Schotten; and cellists Roman Borys and Anne Martindale Williams took turns for a wonderfully entertaining first half. Then after intermission our Steinway got a real workout when the Parkers teamed up for six hands on one keyboard! Then it was pure pandemonium when the amazing encore, Khachaturian’s Sabre Dance, saw the trio playfully jumping from one end of the piano bench to the other – while not missing a beat. Back by popular demand are many of Orcas Island Chamber Music Festival patrons’ favorite performers. The “Welcome Back!” concerts August 12th at 7:30 pm and August 13th at 5:30 pm featured renowned violinists Andrés Cárdenes and Monique Mead, baritone Philip Cutlip, violist Yizhak Schotten, clarinetist Owen Kotler and cellist Anne Martindale Williams. Audiences were charmed by arias from Mozart’s The Marriage of Figaro and The Magic Flute and enjoyed pianist Ian Parker’s Orcas Island debut in Beethoven’s joyous trio for Clarinet, Cello and Piano, Kodaly’s Sérénade performed by Cárdenes, Mead and Schotten, and the monumental Brahms F Major Cello sonata played by Bion Tsang and Jon Kimura Parker. The Orcas Island Chamber Music Festival is fortunate to have a terrific team of dedicated volunteers for the Summer Festival. You’ll see them ushering you to your seats, pouring your glass of Festival wine, helping you select CDs, hats and t-shirts. Moving pianos, chairs and music stands during the concerts. And there are volunteers you don’t see. Those who create beautiful floral arrangements for the stage, lobby and reception areas – and those who actually grow the flowers. Or who lovingly set the tables for the post-concert dinners, even folding napkins shaped like swans! Or preparing Artist lunches donated by local restaurants. Or who arrive early in the morning to set up facilities for Music Lovers Seminars and rehearsals. Or who spend hours laundering and pressing linens. Our volunteers give of their time and themselves for many different reasons. For the music, for memories, for sense of community, for the love of being an important part of an exciting two-week event. We couldn’t do it without them! If you’d like to join this incredible team, please give us a call! Chamber Music Festival Tickets on Sale May 7 ! Opening day of ticket sales for the Orcas Island Chamber Music Festival is Wednesday, May 7th. And the kickoff is happening at a new, more convenient time – 5:00 PM! All are welcome to come to the Madrona Room at Orcas Center beginning at this time to select your favorite seats and concerts for this popular Festival. The 17th Annual Orcas Island Chamber Music Festival takes place August 8 through 23. For years, “Early Bird” patrons have lined up in the pre-dawn hours in order to make their concert choices before sales open online or by phone. Now in 2014, the “Early Birds” are migrating from AM to PM. Mary Poletti will still bring her goodies to keep folks happy as the friendly Festival staff help with ticket orders and answer questions about this Summer’s music and musicians. Come join the fun and get your tickets early. This year’s Festival is going to be spectacular! 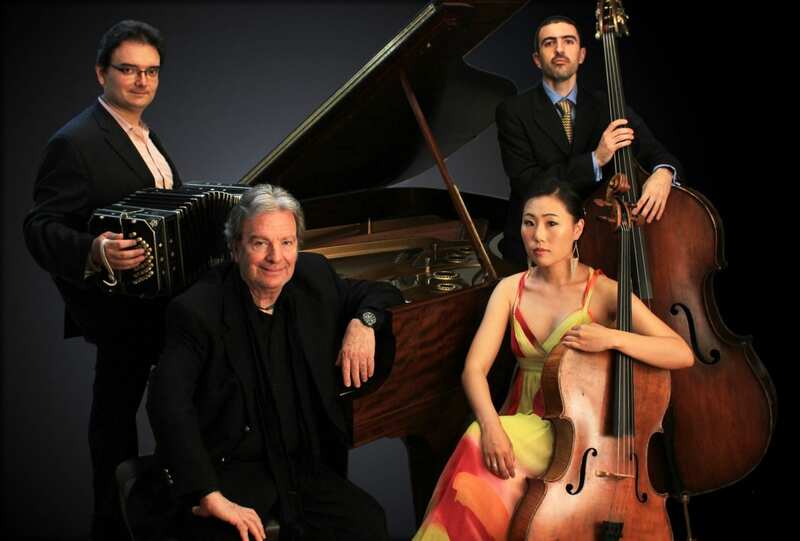 Opening weekend you’ll journey to Buenos Aires for a true tango adventure, as Artistic Director Aloysia Friedmann and Artistic Advisor Jon Kimura Parker welcome tango pianist extraordinaire Pablo Ziegler and his Classical Tango Quartet. It will be a musical family celebration August 19 and 20 when three famous pianists, brothers Jackie Parker, Jamie Parker and cousin Ian Parker perform for the featured “Orcas~trations” Concert. Other concerts feature Canada’s celebrated Gryphon Trio, baritone Philip Cutlip, renowned violinists Andrés Cárdenes and Chee-Yun, cellists Bion Tsang and Anne Martindale Williams, and other amazing musicians. Online ticket sales will open May 7th at 9pm at www.oicmf.org. Phone sales will begin May 8th and can be made by calling the Box Office Wednesday through Friday from noon to 4 pm @ 376-2281. To view the complete concert schedule and performing artists, visit the OICMF website or call the Festival office @ 376-6636 for further information. ARTISTS: Artistic Director Aloysia Friedmann and Artistic Advisor Jon Kimura Parker lead an amazing group of artists performing for the 17th Orcas Island Chamber Music Festival, August 8 – 23, 2014. Many of your favorites are returning this Summer – Canada’s celebrated Gryphon Trio, violinists Chee-Yun, Andrés Cárdenes and Monique Mead, cellist Anne Martindale Williams, clarinetist Owen Kotler, violist Yizhak Schotten, and baritone Philip Cutlip. We’re also excited to announce musicians that will be new to Orcas in 2014 – famous Argentinian pianist Pablo Ziegler and his Classical Tango Quartet, cellist Bion Tsang and pianist Ian Parker. Concerts will take place on the following dates. Each concert is performed twice, the first night at 7:30pm, the second night at 5:30pm. Can six hands fit on one keyboard? Jackie, Jamie and Ian Parker and friends take turns in every possible musical combination in this musical family celebration! It’s two weeks filled with fabulous music and musicians, enlightening lectures, community concerts, post-concert receptions and fun. Please make your lodging reservations early and join our 17th Season celebration!